The Friday Show: Passing Or Failing Grades? 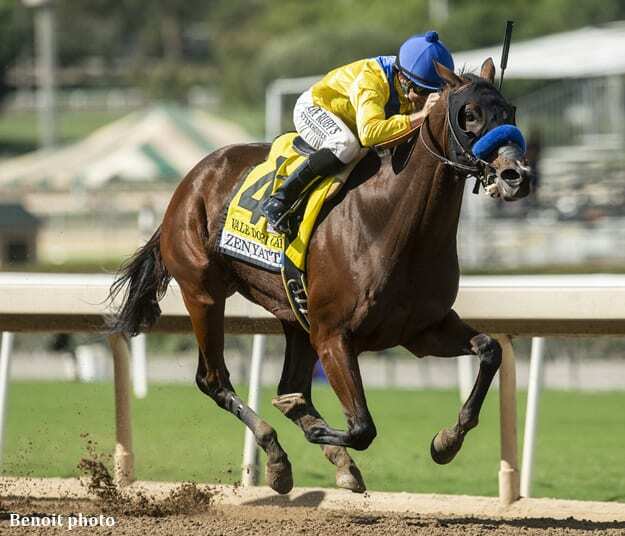 Each year, the American Graded Stakes Committee reevaluates the grading system for the highest level races in the U.S., downgrading some from Grade 1 or Grade 2 and upgrading others from Grade 2 or 3. It's an annual decision that has wide-ranging implications for the racing and breeding industries. In this special edition of The Friday Show from Gulfstream Park, Scott Jagow and Ray Paulick discuss the theme running through the changes for 2019. Plus, the Paulick Report is in South Florida for the Clásico del Caribe, being held for the second time outside of Latin America. The names of the horses in the Caribbean Classic event are always a fun subject, plus who's going to win the races on Saturday? This entry was posted in NL Article, Ray's Paddock, The Friday Show, Videos and tagged american graded stakes, american graded stakes committee, Caribbean Classic, clásico del caribe, Friday Show, graded stakes, gulfstream park, Ray Paulick, Scott Jagow, The Friday Show by Paulick Report Staff. Bookmark the permalink.